You vs Yesterday is a rock band from Dayton, OH who released its debut single "Wasted" on July 15, 2014. The music video has amassed over 40,000 views on YouTube. The debut 'Remember This' EP was produced by Tyler Smyth of Dangerkids (Falling In Reverse, Blessthefall, I Prevail) and released physically on April 4, 2015 while digitally on February 26, 2016. The release features “Both of Us” which has over 676,000 streams on Spotify. The band tracked 'How's This For Honesty' with Nick Ingram (Hawthorne Heights, Dayseeker) at Capital House Studio in 2016 and worked with Smyth again to mix/master. The first single "Chip on My Shoulder" was released on June 23, 2017 and has over 385k Spotify streams. The EP was released on November 10, 2017 with “Wishful Thinking” featured on ‘Punk Unplugged’ which helped it gained over 473k streams. The band's two EPs have been played just shy of three million times on the platform. You vs Yesterday is playing Bunbury Music Festival 2019. Alternative Press named the band as one of the 12 Bands to Know in March 2018. Journeys featured the music video for “Silver Lining” in May 2018 and has the “Collide” music video on their playlist set for March 2019. The band has since released “My Mistake” produced by/featuring Will Pugh of Cartel, “Collide” feat. AJ Perdomo of The Dangerous Summer/produced by Seth Henderson (Real Friends, Knuckle Puck, Sleep On It), and “Cross Your Mind/Quite Like I Do” produced by Jim Wirt (Jack’s Mannequin, Something Corporate, The Rocket Summer). Currently, the band has released an acoustic EP produced by Henderson entitled ‘Reimagined’. The band is recording their first full-length album in 2019 with Sean O’Keefe who is known for producing ‘Take This To Your Grave’ by Fall Out Boy, ‘The Silence in Black and White’ by Hawthorne Heights, ‘Remember Right Now’ by Spitalfield, ‘Action’ and ‘Just Say Yes’ by Punchline, and co-producing “Hey There Delilah” by Plain White T’s. Most recently, O’Keefe produced Fall Out Boy’s ‘Lake Effect Kid’. 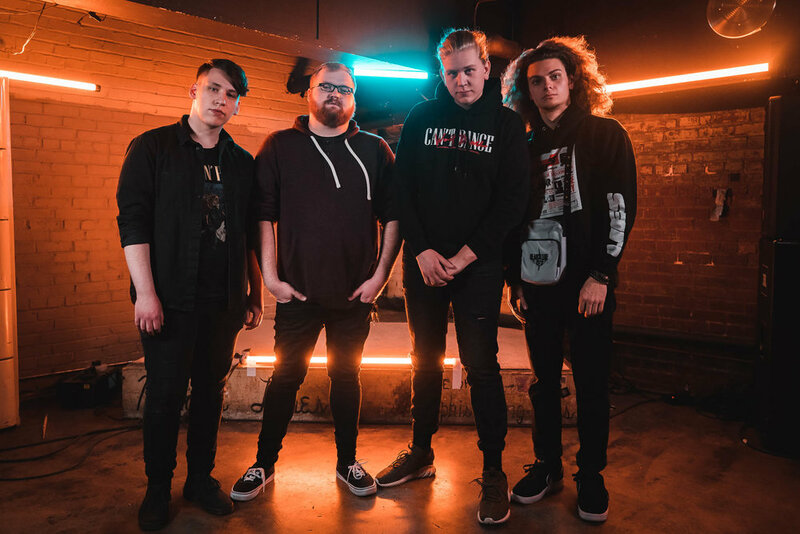 You vs Yesterday has played shows with Punchline, The Spill Canvas, Hawthorne Heights, Belmont, Young Culture, Rarity, Palisades, Coldfront, Mark Rose of Spitalfield, Nick Thompson of Hit The Lights, Jetty Bones, Rookie of the Year, and The Stolen.